A working arable farm of 300 acres, the award-winning Highfield Farm near Sandy offers bed and breakfast with a 5-star rating from Visit England. Just off the A1, this Bedfordshire farm provides a high-quality breakfast and free parking and Wi-Fi. 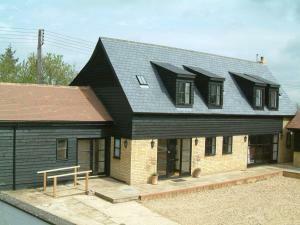 See all Highfield Farm reviews..